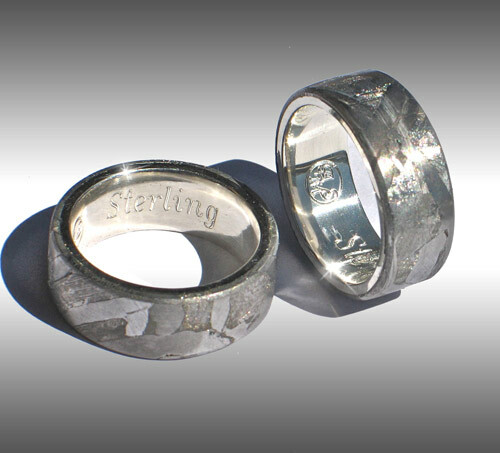 Style #049: Flat-topped Seymchan Meteorite Rings with beautiful Widmanstatten pattern and Sterling Silver lining. These beautiful rings are are truly unique wedding bands. Please enquire for current pricing!